Conaque Joseph is a 20-year resident of the costal village of Titanyen, Haiti who works as a porter. Conaque’s wife Orlane sells rice, beans, plantains and produce at the market to supplement the family income. Conaque and his family have been living in a temporary structure made of tin since the big earthquake. The tin house becomes unbearably hot and suffocating in the summer heat. They spend many sleepless nights with no relief from the oppressive heat. The rainy season brings cold, wet and muddy messes into the house. The house is close to the brush area and so the family is constantly plagued by critters invading their spaces. 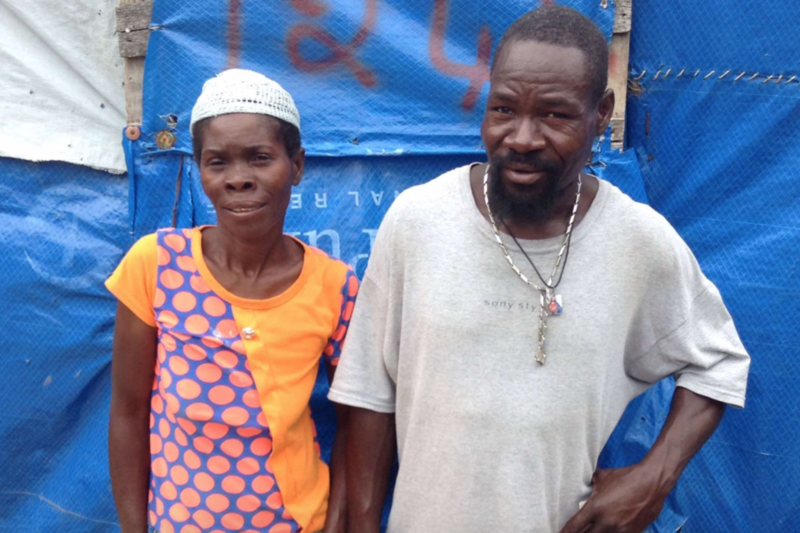 Relief from the misery of living in a temporary structure that gives no real shelter is something that Conaque and his family wish for everyday. Let’s work together to provide the relief that a block home can bring the Joseph family!